Mild and breezy, moths start blowing in. A window of mild weather happened here last week during Wednesday and Thursday, albeit it very wet at times with increasing gusty winds, the MV trap was run on Wednesday night and the Actinic on the Thursday night. Both nights produced a small selection of seasonal moths, including one new for year species on each outing. 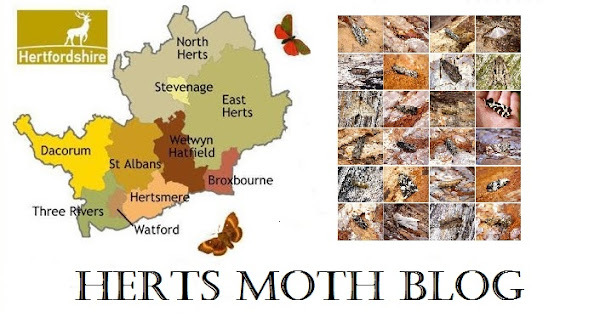 Both March Moth and Tortricodes alternella were added to the year list, the latter isn't that common here, but i've heard reports from some people in the County that they are being inundated with them at the moment! I took some photos today of some of the moths, and my goodness that was the biggest challenge that this time of year sometimes presents! Wind was whipping through the garden at a great speed, causing the delicate moth wings to splay uncontrollably, luckily patience and many shots later I achieved a few half decent shots. Garden species count for 2019 now upto 8.